Samuel Karl Cooper, son of Samuel D. and Nannie Cooper, was born January 7, 1961, in Wilmington, Delaware. He departed this life on Tuesday, October 30, 2018, in the Christiana Hospital in Newark, Delaware. 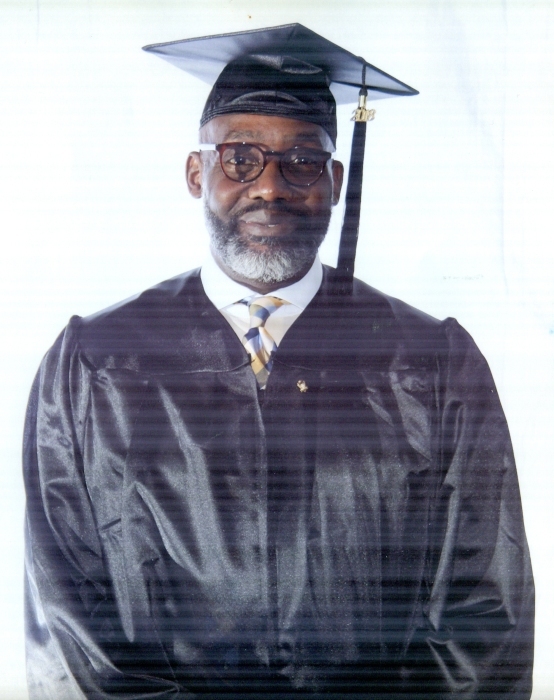 He received his high school education from Salesianum in Wilmington, DE, graduating in 1979, and furthered his education by graduating from Allen University, South Carolina in 1985, and Jamison School of Theology in Philadelphia, PA in 2017 and 2018. His vocational experience included Management in Banking & Finance; Consulting; Business Ownership; Collections; Property Management; Residential Treatment Facility Group Leading; Limousine Driving; and Coordinating for a private Educational Comp. He was the proud father of three daughters. He committed his life to the Lord at the Mother Church of God in Christ in 1975, and was a current member of Spirit Life Ministries International. He leaves to cherish his memory, his wife, Pamela; daughters, Jenay, Karlynn and Jenora; son-in-law, Dion; sister, Trudy; brother, David; grand-daughter, Gigi; best-friend, Christopher; and a host of aunts, uncles, nieces, nephews, cousins, in-laws and friends. Memorial Service will be held at 11am on Saturday, Nov 10th at New City Church, 201 Hawthorne Drive, Wilmington, DE 19802. Family visitation will be from 10:30 am to11am on Saturday, Nov. 10th at New City Church.